Dr. Poul Sorensen is a board certified anatomic pathologist, specializing in the molecular pathology of pediatric cancers. He undertook his undergraduate, medical, and PhD degrees at the University of British Columbia (UBC) and McGill University, Montreal. He completed postdoctoral training at the University of Minnesota, Minneapolis and Children’s Hospital Los Angeles, University of Southern California, after his Pathology training. He then returned to Vancouver to start his own laboratory at Children’s and Women’s Hospital in Vancouver. Dr. Sorensen holds the Asa and Kashmir Johal Endowed Chair in Childhood Cancer Research, and he is Professor of Pathology and Laboratory Medicine at UBC. 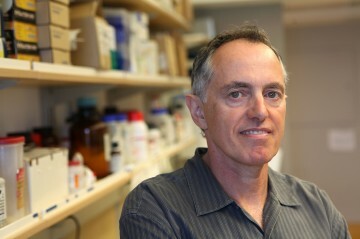 Dr. Sorensen’s research laboratory is located in the Department of Molecular Oncology at the BC Cancer Research Centre, where he is a distinguished scientist. His research focuses on targeting aberrant signaling pathways that are activated in childhood cancers and breast carcinoma. Dr. Sorensen’s laboratory uses a combination of genetic and biochemical approaches to identify proteins that are specifically altered in human tumours. His laboratory has discovered many novel genetic alterations in childhood cancer and breast tumours, and these discoveries have been translated into new diagnostic tests for specific tumours, and have advanced our understanding of how the involved proteins transmit signals that cause cells to become cancerous. Such information then allows for the rapid implementation of strategies to target these proteins therapeutically. Dr. Sorensen is also the Chair of the Translational Research Committee of the Children’s Oncology Group (COG), the largest pediatric oncology clinical trials network in the world.